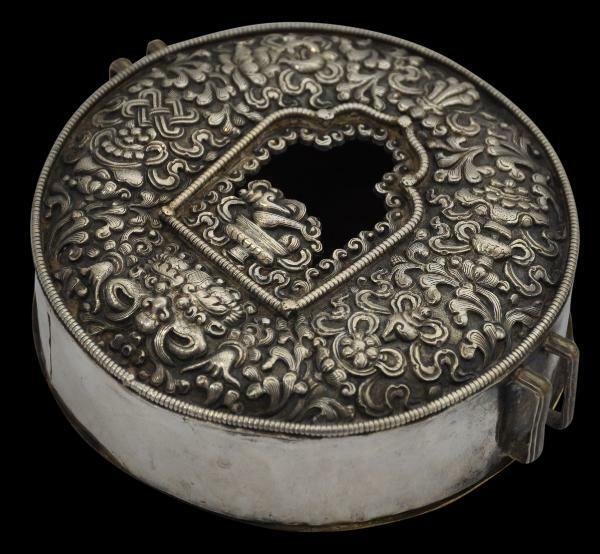 This fine, round ga’u (talismanic box) comes from Eastern Tibet. 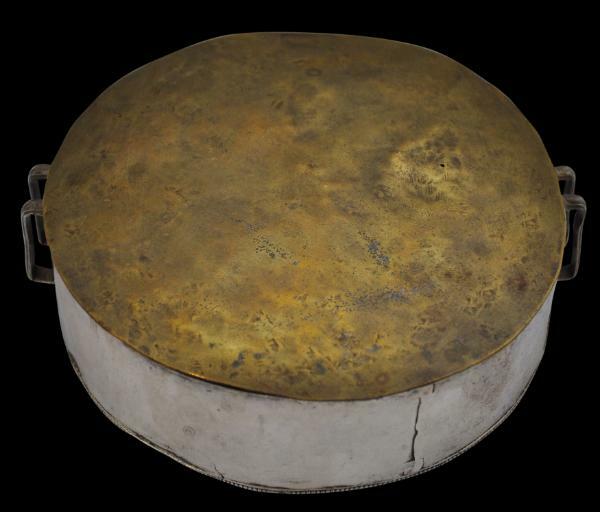 It comprises a repoussed and chased silver front with a central hole or ‘window’, sides of silver sheet with two pairs of lugs on either side, and a hammered brass sheet backing plate (with remnants of silvering) which fits into the reverse of the ga’u. kurtimukha mask below the window, and a bowl of precious jewels on top, all amid fine leafy scrolling, and all in relief. The edges are lined with ‘pearled’ silver wire. See Prosser (2010, p. 123) for a similar round example in the Newark Museum which the Museum attributes to the 19th century. ga’u is in fine condition, with only some minor compression to the bottom right hand rim. Overall, it has obvious age and a fine patina. 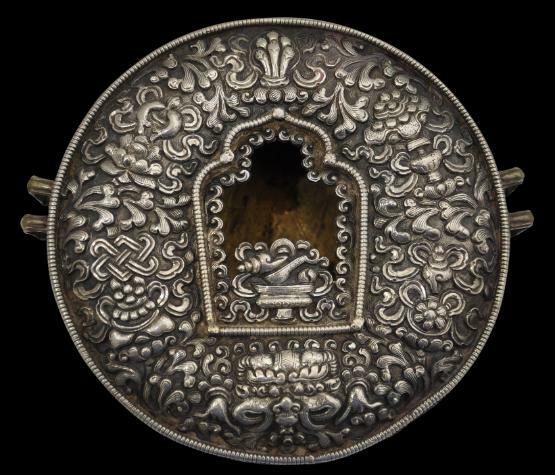 ga’us were worn by Tibetans on journeys as talismanic or protective devices. As well as containing a tsha-tsha, they often contained an assortment of other items deemed to have protective value, including small pieces of paper inscribed with Tibetan mantras, small seashells and so on.